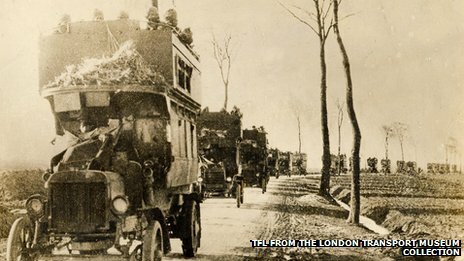 For the best part of a century the vital role played by the B-type London bus in World War One has been overlooked and largely forgotten. But now the model is to be celebrated with a remarkable restoration project in time to mark the centenary of the conflict. One of only four surviving B-type London buses, the Routemaster of the Edwardian era, is being restored in time for a series of events to mark the centenary of World War One. 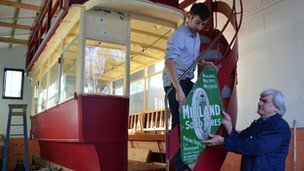 "It's like asking a 100-year-old man to run in the London marathon, you don't expect him to come first," restoration engineer Richard Peskett who is working on London Transport Museum's Battle Bus Project said. "But the bus will be of a standard where it will be able to carry its full complement if necessary". 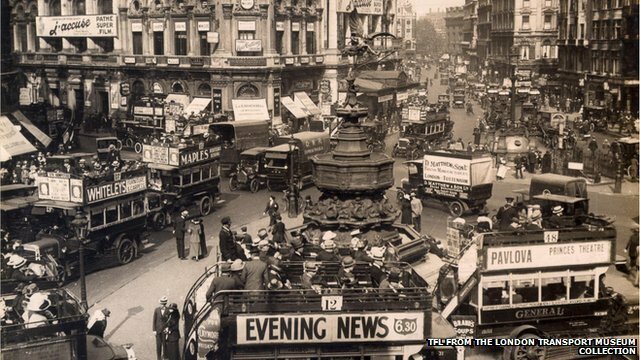 The B-type double-decker bus was introduced in London in 1910 and was an instant hit among passengers and drivers. Models were first requisitioned by the War Department days just after hostilities began in 1914 and by the end of the war, four years later, there were 1,000 London buses on military duty. They served as troop carriers, ambulances and gun carriages and were deployed in theatres of conflict as far away as Egypt and Greece. The red London livery was stripped and replaced with grey or khaki as soon as they landed in France, while windows were hurriedly covered up with wooden boards. The capacity of the buses were also reduced from 34 to 25 to accommodate troops with their kits. The vehicle under restoration now is a double-deck open top bus, which served the route between Barnes and Liverpool Street from 1914 until it was requisitioned for war service. The work is costing £250,000 - more than half of which was spent on sourcing original parts. The body of the bus was once used as a garden shed, while the chassis, engine, wheels and other parts have come from around the UK and even Australia, where 40 buses were exported after they were decommissioned in London. Mr Peskett said: "The body itself was sold off for £5 during the 1920s by the London General Omnibus Company and it existed in a garden in Horley until about 25 years ago when it was recovered and put into storage for possible restoration. "It's like a big jigsaw but all London buses were like jigsaws, they were overhauled every year when they were taken apart and then everything was reconditioned and put back together". By July, the bus will be restored with its original domestic livery, complete with moquette design and some original and reproduced enamel advertisement boards. Gerald Whittaker, a sign writer and coach painter, studied buses from the Edwardian era to reproduce the adverts and signs for the project. He said: "There was a lot of unusual wording inside like 'no spitting', 'no standing up upstairs', 'no leaning over the sides'... and signs saying 'Beware of pickpockets, male and female'". But some features of the B-type will not return, like the solid rubber tyres - which made for a bumpy ride - and the reliance on the crank handle to get it started. Drivers needed a lot of strength to manoeuvre the B-type in London traffic but it was worse in rural areas and on the war front and would often end up in ditches. The bus will be one of the centrepieces of London Transport Museum's exhibition next year, titled 'Goodbye Piccadilly - from the Home Front to the Western Front', and a big part of Transport for London's plans to celebrate London buses, marking 2014 as the Year of the Bus. The vehicle will also join a parade of classic and historic vehicles in France next year, to mark the centenary of the war. Tim Shields, curator of the London Transport Museum, said: "We are recreating a B-type bus which is a very challenging task in itself and then we are taking it to the next step by actually transforming it into a war-time vehicle and bringing back this vehicle into its war-time condition... a sight that hasn't been seen in at least 95 years."